An African-American child dreams of long-ago Africa, where she sees animals, shops in a marketplace, reads strange words from an old book, and returns to the village where her long-ago granddaddy welcomes her. 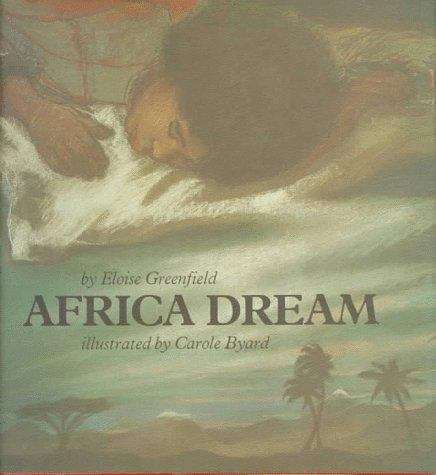 Greenfield's lyrical telling and Byard's marvelous pictures make this book close to an ideal adventure for children, black or white. ' -Publishers Weekly.